After a long wait, Porsche finally launched the all-new 911 at the L.A. Auto Show. Code-named 992, it was launched as a coupe first, in Carrera and Carrera S versions with rear- or all-wheel drive. Shorty after, a rendering depicting an open-top 992 by an independent artist was released. 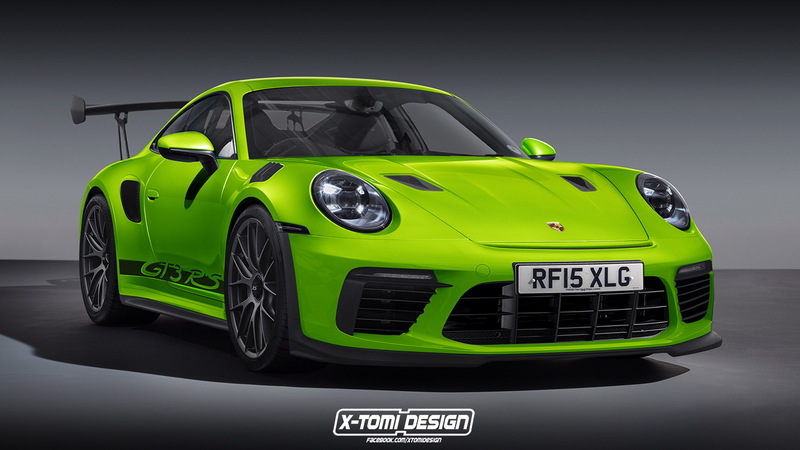 Now, we have yet another by XTomi that depicts it as a GT3 RS. 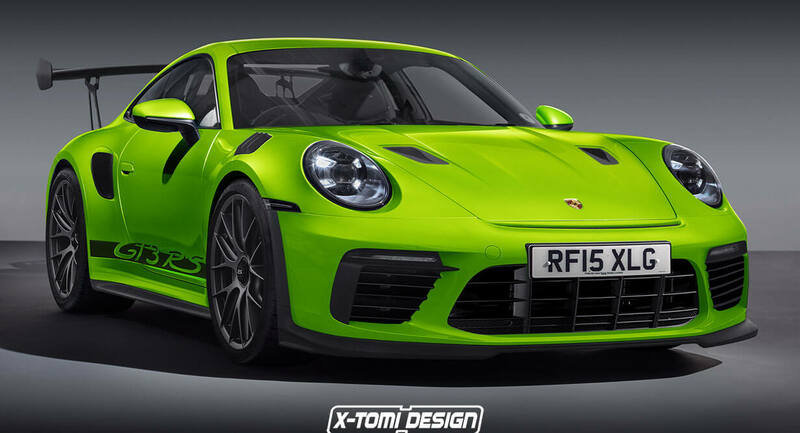 Wearing a specific aero kit that sets it apart from the rest of the range, the new GT3 RS rendering sports a vibrant green color. Customers will probably have to wait one to two years before being able to park the new 911 GT3 RS into their garages, given that the current iteration was presented to the world earlier this year in Geneva. Performance wise, the new 911 GT3 RS will be quicker to 100 km/h (62 mph) than its predecessor, which completes the sprint in 3.2 seconds and maxes out at 312 km/h (193 mph). Powering it is a naturally aspirated 4.0-liter flat-six engine that pumps out 520 PS (512 hp / 382 kW) and 468 Nm (346 lb-ft) of torque. The new one, however, according to reports, might ditch the naturally-aspirated engine for a turbocharged unit. The outgoing GT3 RS managed to lap the Nurburgring in 6 minutes and 56.4 seconds, becoming Porsche’s third car to dip below 7 minutes after the 918 Spyder and 911 GT2 RS.